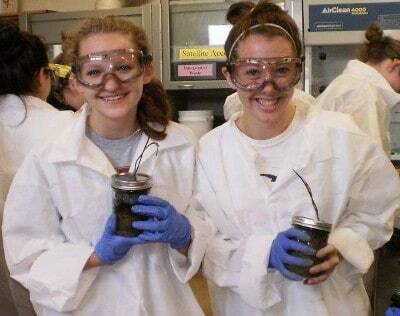 Saint Francis University’s 2013 STEM Summer Academies are now accepting applications for the Environmental Engineering Design Academy (June 16-21, 2013), Green Chemistry Academy (June 23-28, 2013), MAD Math Academy (June 23-28, 2013), and the Gaming Academy (July 7-12, 2013). Saint Francis University’s STEM Summer Academies are week-long programs designed to provide an opportunity for talented high school students (rising juniors and seniors) to experience science, technology, engineering, and mathematics inaction. Students will have the opportunity to earn college credit while working in teams to complete real-world projects and present their results. Students have the option of applying to one or more of the academies during the same or consecutive summers (if eligible). Participants will receive: 2 college credits, housing and meals, all course supplies and materials, and real-world activities to intrigue and enlighten. For an application and additional information visit STEM Summer Academies, email scienceoutreach@francis.edu, or call 814-472-3878.